It is no secret that battery efficiency is dependent on the temperature. Take a look at anything you own that is battery powered and more likely than no it will have an optimum battery range of around 40°F to 120°F. Electric car batteries are no different in this regard and a study from AAA shows a significant range hit for these batteries in cold weather. The study used three different electric cars: BMW i3s, Chevrolet Bolt, Nissan Leaf, Tesla Model S 75D, and Volkswagen e-Golf. 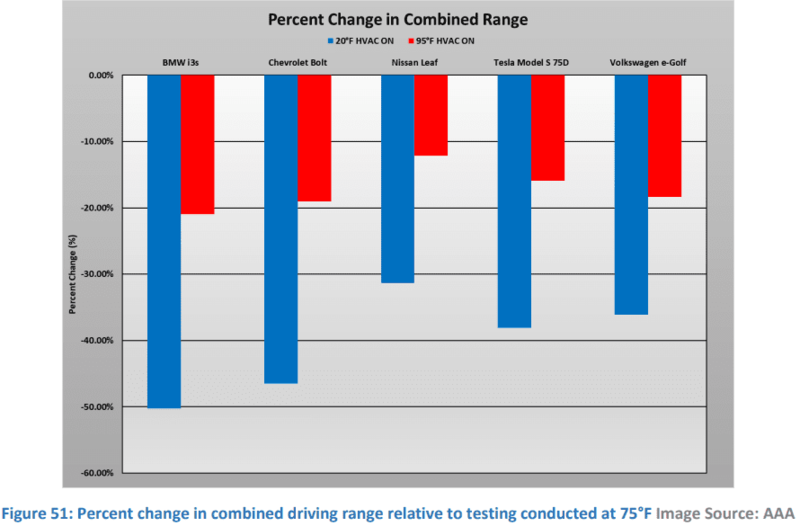 Below are the test results for the Tesla 75D under different driving cycles and how temperature affected the range. This is how the five electric cars ranges compared to one another. You can see that the Nissan Leaf had the least change in range in both cold and hot climate. While the BMW i3s was most affected by the variable temperature and dropped a whopping 50% of its range in the cold weather. 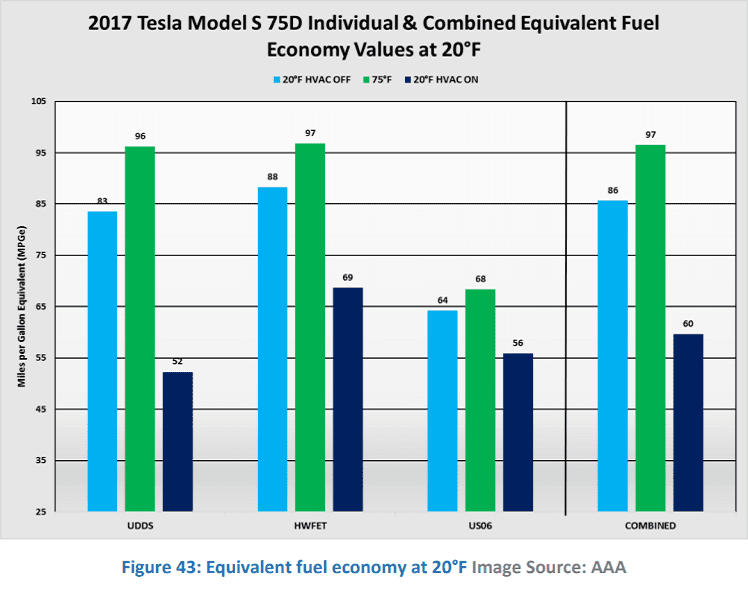 While Tesla was quick to give a concrete number on the decrease in range while in hot climates, they did not state a number for cold weather. 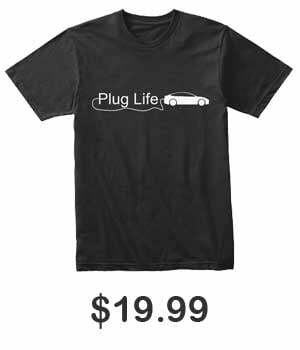 One can infer that even the number that Tesla would provide would be an unflattering one, so kept it to themselves. 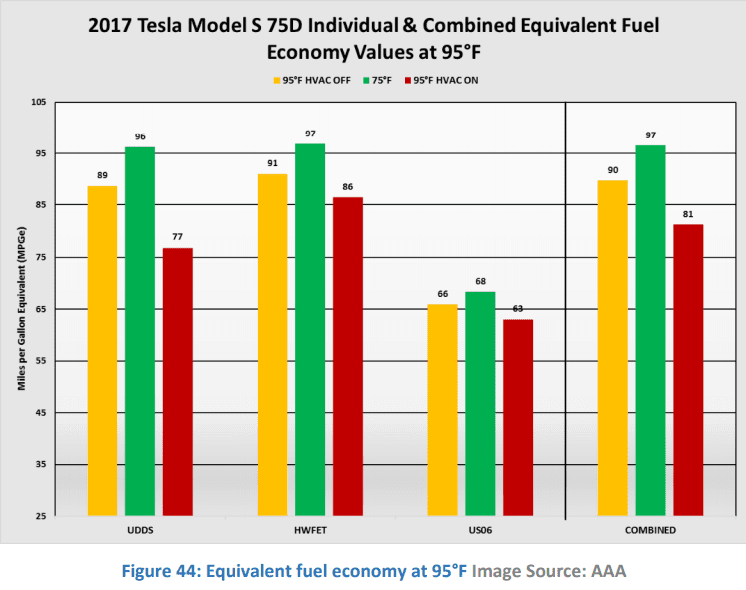 In terms of anecdotal evidence, a decent number of Tesla owners on r/teslamotors confirm their experiences in the cold weather are in-line with what the AAA study presents in regards to reduced electric car range. 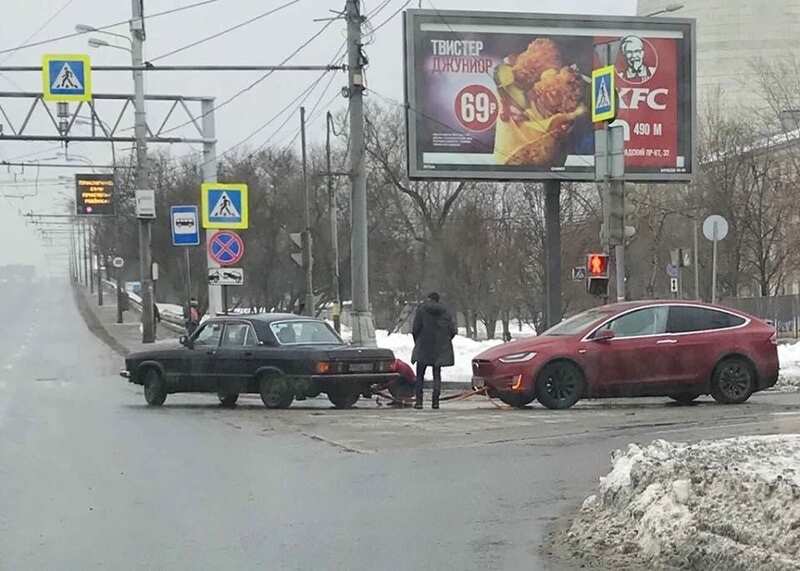 But lets all remember that while electric car batteries are affected by the cold weather, traditional gasoline cars are not impervious to the cold. According to the Department of Energy, a gasoline car can drop its gas mileage by 12-22% is sub-20°F weather. So while not as drastic of a decrease as the electric car range, it is still something that people in cold climates live with everyday. So does it really matter? Most electric car owners/enthusiast probably let out an “obviously” when reading the results of this report. Batteries are at the mercy of the temperature and so why wouldn’t electric car batteries. But for those that are still learning about electric cars and deciding on whether or not they should buy one, it is important for them to realize some of these short-comings so that they don’t come in with misinformed expectations regarding electric car ranges. When someone sees a 310-mile range on a Tesla, it’s very possible that they do not take into account the weather effects and will assume that they will always get that range. So does it matter that your 250 miles of range is only about 150 miles or range in the winter? Well if you are charging every night and don’t drive an obscene amount of miles, then no. However range anxiety is still a big problem for non-electric car owners so every mile counts. Will battery technology progress in the near future to where this won’t be a problem anymore? Will ranges get so high that a 40% decrease in electric car range won’t even be too bad? Let us know down in the comments below. For those interested you can read the full report E.1.-Research-Report-EV-Range-Testing-FINAL-1-9-19. Your headline should read: STUDY SHOWS ELECTRIC CAR RANGE IS (UP TO) 41% LOWER IN COLD WEATHER. It depends on the car, the outside temperature, the inside temperature, how experienced the driver is at energy management for their vehicle, speed, terrain and whether or not the travel is primarily on ice, snow or relatively dry pavement. I reject your blanket assumption and substitute my own experience and critical thinking skills.